The CCBL Board of Directors unanimously approved an initiative to honor the life of fallen Yarmouth Police Department Sgt. Sean Gannon for the 2018 season. 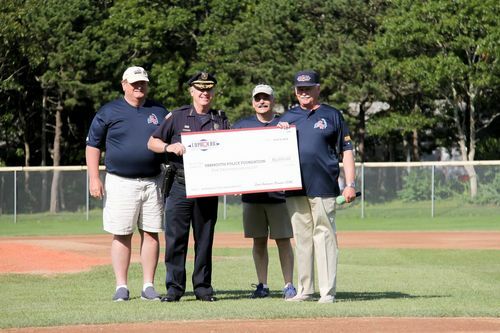 The Cape Cod Baseball League has always been totally committed to the Cape Cod community and we all felt we wanted and needed to do something to honor Sgt. Gannon. All players, coaches and umpires as well as our many volunteers will be proudly and visibly wearing a commemorative pin honoring K9 Sgt. Gannon. The pin seen below, will be on sale at all ten fields in the CCBL for $5.00. All proceeds collected will go toward the Yarmouth Police Department Foundation. Please join us in purchasing and proudly wearing this specially designed pin in honor of the service and dedication provided to all of us by Sgt. 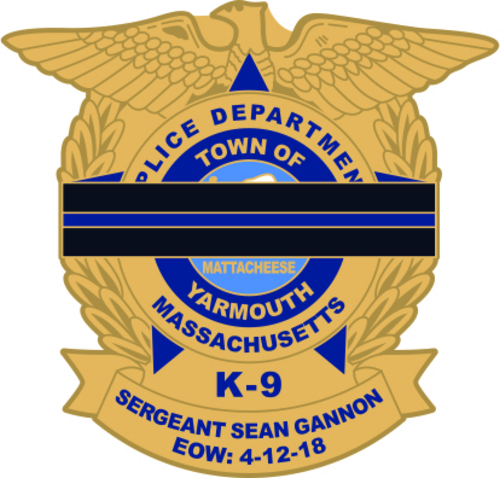 Sean Gannon, who paid the ultimate price while protecting us. 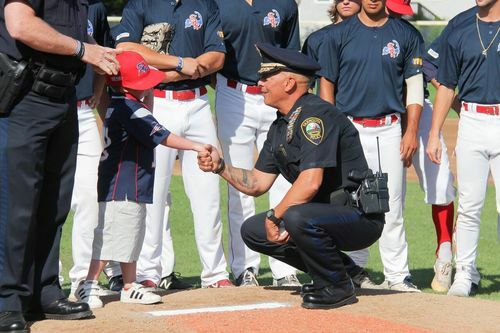 Each team will be sponsoring a First Responders Night which we expect will be one of the most popular events of the summer. The pin design is pictured here. Thank you for helping us with this cause.